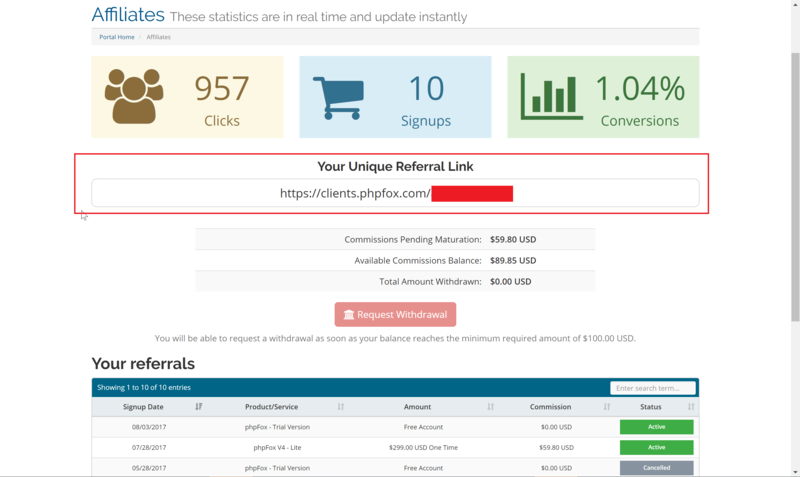 This post is to explain more how the phpFox Affiliate works, provides you with all affiliate banners and necessary instructions. You can also find these materials inside the Affiliate Panelin our Client Area. To those who are already active Affiliates of phpFox sales, the following banners are for you to use on your websites, blogs or wherever you want to put it together with your Unique Referral Link. This banner should be embedded within text content or at the end of articles. This banner should be placed above main content, and on forum sites. It is the percentage of each payment that you receive. 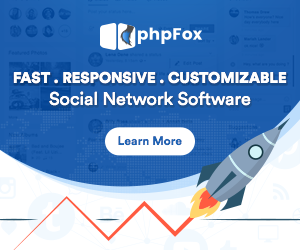 It is the number of days from the date your referral purchased phpFox’s product (license or service) to the date its commission is available for you to withdraw (if accounts are still active). You will be able to request a withdrawal as soon as your balance reaches the minimum required amount of $100.00 USD. In the above example, the affiliate needs to wait until the Commissions Pending Maturation: $59.80 USD becomes an available commission and is added to its Available Commissions Balance. The Available Commissions Balance then will be $149.65 USD and ready to withdraw. Click the Request Withdrawal button. It will create a ticket on your behalf. Our staff will then follow up with you in the ticket and proceed to send you your available commission payment. See also the instruction how to register as a phpFox Affiliate.